Back in the dark ages of the 1950s and 1960s, there was virtually no provision for passengers with mobility impairment and what few specially equipped vehicles were available were considered to be ambulances. Dignity for those being carried along with their safety and that of those assisting them was largely disregarded. 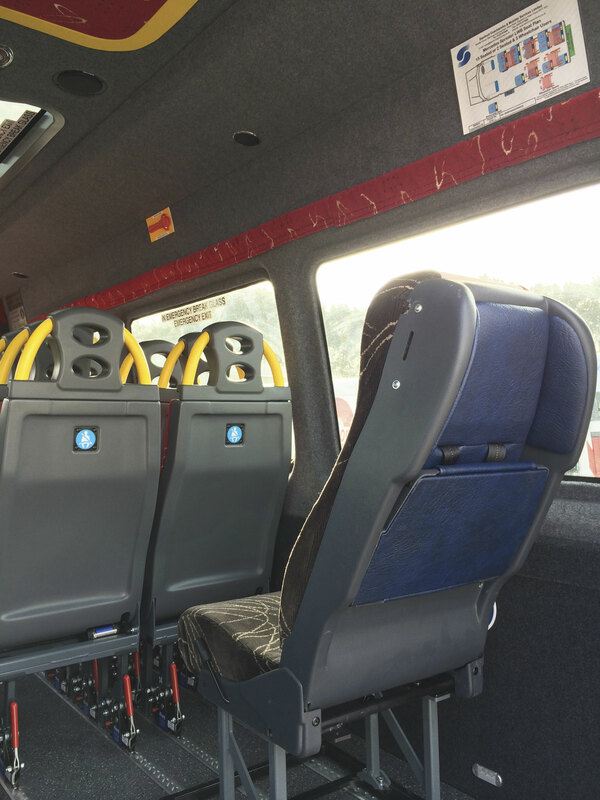 Today the wheel has come full circle and a plethora of equipment is available to install in vehicles that are either standard buses and coaches serving the public as a whole or, where they are for specialist applications, look externally like any other bus or coach. New and better equipment is being developed all the time. It is also important to remember that making buses and coaches accessible is not just about complying with regulations, it is also about enhancing passenger experience, making their journey easier and more enjoyable. Chris Peat has scanned the accessibility segment to showcase some of the latest developments and products that improve the travelling experience. As the DDA deadlines draw near, satisfying the Public Service Vehicles Accessibility Regulations 2000 (PSVAR) may be a case of buying compliant new vehicles, but there is also the option of converting existing PCVs. PLS, part of the Mobility Networks group of companies, has perhaps one of the most advanced passenger lifts on the market. Installed in the ski-locker over an axle, the new EQ Coach Ski-locker Lift is housed in a smaller, more compact cassette so internal coach storage space is maximised. With a 400kg lifting capacity, the one piece platform is designed to deliver safe, sturdy and reliable access for wheelchair passengers and can be either retro-fitted or installed during a new build. Its position within the vehicle is intended to ensure protection from the corrosive effects of road dirt, salt and spray. Inbuilt anti-rattle technology means no additional noise is produced when in transit and this latest design conforms to all current EU safety legislation. Featuring GPS technology enables PLS technicians to proactively resolve servicing or maintenance issues electronically anywhere in the world. This is intended to keep fleet down time to a minimum and lift performance is continually optimised. The platform size is 825x1220mm and incorporates an anti-slip surface with high visibility edging for added safety. A recent restructure of the VIP Group has seen Compak Ramps, part of the business’s manufacturing arm, divested from its Property Portfolio. According to Compak’s Global Sales and Marketing Director, Tony Rodwell, this has had a positive impact on the ramp manufacturer, allowing it to invest more readily in parts and servicing of its products. When it comes to replacement components for ramps, Tony insists genuine OE parts should be used rather than non-standard components. Doing this, he claims, is what helped TfL achieve its 99.83% ‘ramp in service performance rate’ at the last ramp audit. London’s buses are nearly all specified with Compak ramps. Tony also questioned whether ramps, particularly manual, are installed simply to ‘comply with the regulations’, rather than ‘meet the spirit of the regulations’; mentioning the health and safety and passenger dignity issues of the latter. If a wheelchair user is at a bus stop alone and the driver is restricted from leaving the cab for health and safety reasons, who deploys the manual ramp? Compak supplies both manual and powered variants, all designed to vehicle specifications. It is introducing a new all-electric lightweight ramp that is 25% lighter than previous models and in the next few months will bring out a powered ramp specifically designed to meet the ‘spirit of the law’ referred to earlier. A further development is the expansion further into the South African market, with plans to add a manufacturing facility in the country. Dhollandia would agree with Tony’s sentiment that non-genuine spare parts for accessibility equipment are not worth the risk. After inspecting some non-genuine parts for its tail lifts, the company claims they have significant quality deficiencies. It said using these components would lead to repeated repairs in the short term, repeated vehicle downtime, extra repair costs and even risk of accidents. Also pointed out was that a lift repaired by means of spurious spare parts loses the protection provided by the suppliers’ certificate of conformity. For minibuses, Dhollandia has the DH-LSPH tail lift. A tension rod between the platform and the lift arm of this model increases the stability and sturdiness of the platform behind the vehicle’s rear doors. Its platform is manufactured from hot-dip galvanized steel, protecting it from the elements. The edge of the platform is equipped with a 100mm high automatic roll-stop, articulated safety rails, foot controls and flashing platform lights. Recently added to Dhollandia’s range is the DH-CH003.03 for the public transport and touristic sectors. This slim cassette lift has an overall height of 130mm, as well as a manually extendable platform with a 350kg nominal lift capacity. The lift can be mounted in a space that is 400 to 450mm shorter than the existing cassettes in the product range. A wide range of cassette lifts for mounting on midibuses and coaches is offered, including the DH-CH101. This model is mounted high in the coach and offers a lifting capacity of 300kg or 350kg. The platform is equipped with an automatic bridge plate at the front and an automatic roll-stop at the rear side. All the company’s products feature either its Protection PLUS paint finish or hot dip zinc plating to ensure they are hard wearing. 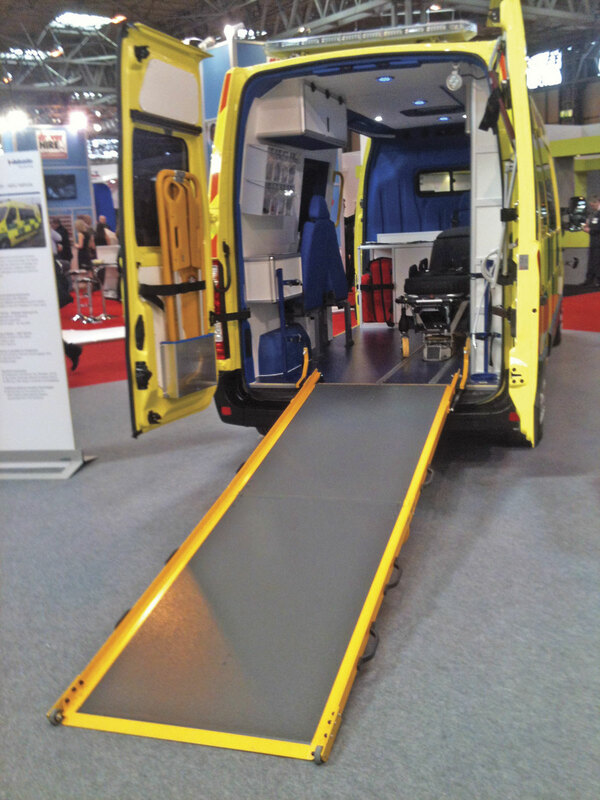 Specialising in the manufacture of portable aluminium ramps is Portaramp UK Ltd, which has a range of both portable and fixed ramps suitable for bus and minibus applications. The company’s Director, Mandy Lancaster, said there are a number of advantages to owning a manual model rather than a motorised version. Firstly, her portable products can be used elsewhere, not just for boarding and alighting a vehicle. For instance, they can be used to help wheelchairs navigate curbs or stairs when they arrive at their destination. They also require less maintenance and inspection. 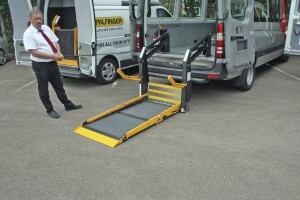 Portaramp provides the aluminium Bus Trio ramp for wheelchair access to PCVs. It is designed to be lightweight and ultra strong. The most compact of its folding ramps, it has a unique slip resistant surface and a quality paint finish. Ideal for wheelchairs and scooters, it is available in standard lengths between 500mm and 1,680mm. Alternatively, the company can manufacture it to specific requirements with TSI PRM certification available on certain products. 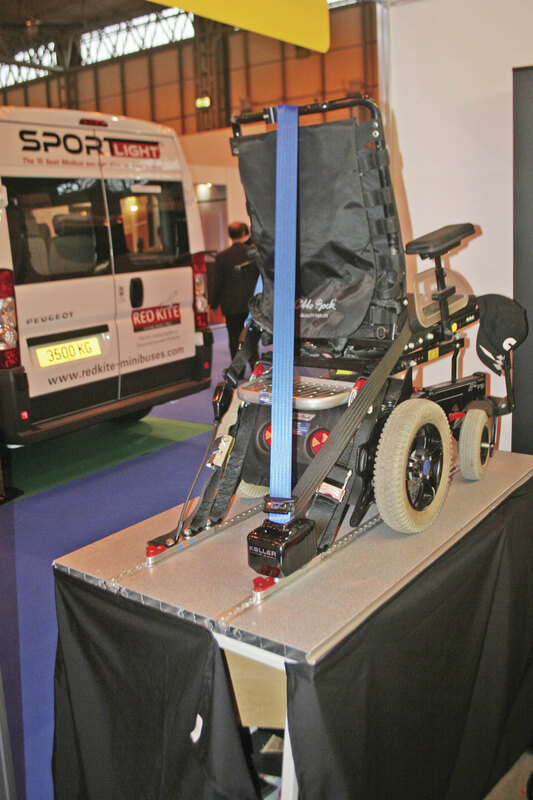 The Clearview and Easyramp products are designed for fitment to welfare minibuses and PTS vehicles. They have a simple single handed operation for deployment and stowage of the ramp. 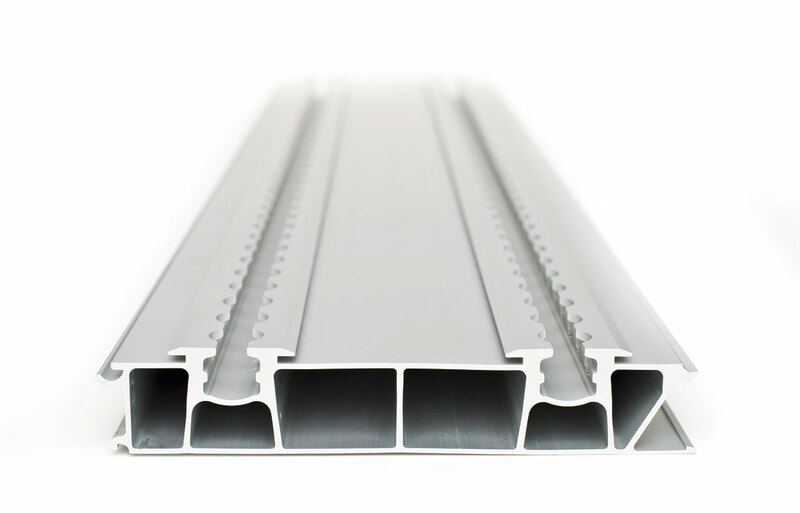 Manufactured from a unique lightweight aluminium panel incorporating a slip resistant surface, they have 50mm side rails for added safety and a quality paint finish. Quick release attachment options are also available. Available in standard lengths between 2,000mm to 3,000mm, they can also be built to exact specifications. 2014 is a big year for Palfinger Ratcliff, formerly known as Ratcliff Palfinger, as it enters its 50th year. The name is set to change again soon too, with a further rebranding to simply Palfinger being phased in. The change relates to the greater involvement the passenger lift brand’s Palfinger parent company is having on the business. Considerable investment has been made, such as to its Welwyn factory, which is being revised to further increase its efficiency. There has also been investment in strategic areas in response to increases in demand in 2014 and expected rises in demand in 2015, with new employees in the Sales, Production, Quality and other departments. In addition, there is a great focus on international expansion with further collaboration between Palfinger Ratcliff and its sister companies in Europe and Latin America. 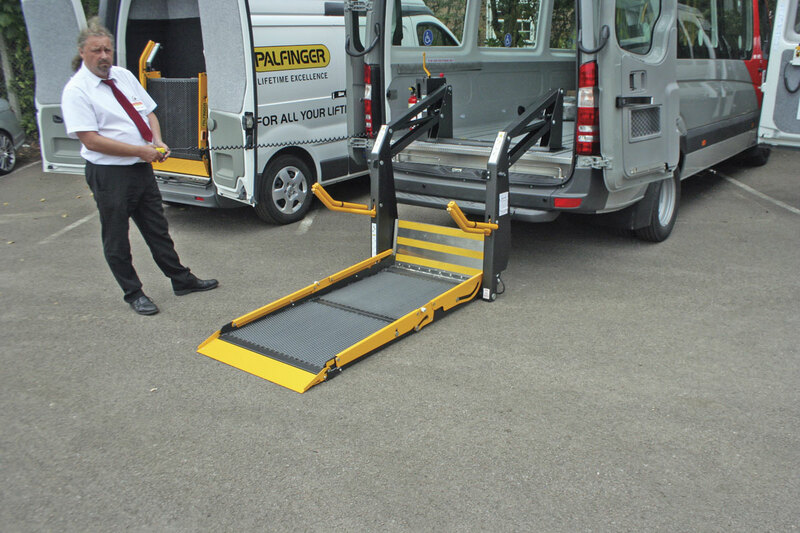 New products released by Palfinger recently include the Endurance RUL35 range. The cassette lifts come in four variants (RUL35A, RUL35AW, RUL35AWL and the RUL40AWEL), which can have lifting capacities of as much as 400kg. They are compatible with all vehicles commonly converted to minibuses, ranging from the Mercedes-Benz Sprinter (and previously Vario) to the Volkswagen Crafter, Ford Transit, Iveco range, Renault Master, Peugeot Boxer, Fiat Ducato and Citroen Relay and Jumper. Endurance lifts are designed to leave the interior free to allow maximum passenger capacity, stowing away in a water tight cassette under the chassis. The newest product from Ricon is its R Series of bus ramps. With a stainless steel and aluminium construction (depending on design), the company claims the products are virtually maintenance free. Either manually or hydraulically operated, they require no valve or switch movement. They stow flat, have a non-slip surface and can be installed at the front or rear door. 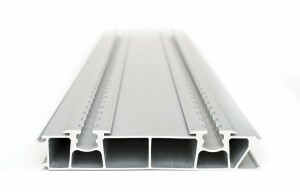 A selection of ramp widths and lengths are available. The manual version weighs as little as 28Kg. 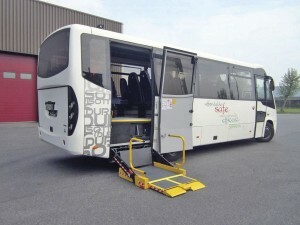 For the smaller PCV market, Ricon has the S Series of wheelchair lifts. They feature front and rear rollstops and handrails, as well as a split platform design to enable clear access to the vehicle interior. As standard, the system can lift up to 350kg, whilst a bariatric version is available with a lifting capacity of 500kg. The company has recently been showcasing a new aluminium model, designed to be lighter than previous products. It was developed partly with the aim of keeping minibus weight down to the 3.5tonnes limit, allowing them to be driven with a standard licence. Sales and Marketing Executive, Michael Dickinson, said he has noticed lighter weight products are the way the industry is heading. He has also noticed that not only are customers wanting a lightweight lift, they are also looking for one with a variety of uses, able to carry the largest scooters yet maintain a low weight. When covering accessibility it is important not to forget steps for easier access of vehicles. Mobility Access specialises in this area, providing steps ranging from 460mm to 1,000mm in width for a wide range of applications, including minibuses and CT vehicles. The company has either manually operated models or electric versions. What sets Mobility Access apart from others on the market, it claims, is that it uses modern technology to ensure the steps are simple to use. Based on a ‘click and lock’ system, the manual design features only a single moving part, which effectively reduces maintenance and wearing of components. The electric model is based on the same application, except the electronic switches are stored in a sealed unit, keeping them safe from dirt and moisture. If there is a maintenance issue, then the bottom panel of the steps can be dropped to allow access to the working components. 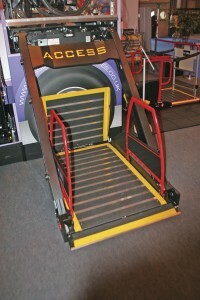 UK based Mobility Access manufactures its products in Manchester. Being located in this country ensures delivery times can be kept to a minimum. Once on board the bus or coach, the next challenge is to ensure any wheelchairs are secured in place. A company providing what it calls the world’s strongest combined wheelchair and passenger restraint is Koller Engineering. It displayed the latest in this Nexxus range, the Nexxus 200, at Euro Bus Expo last month. 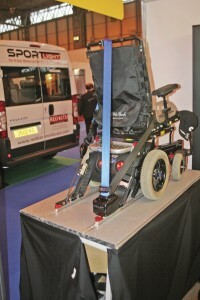 The Nexxus 200 is tested to secure wheelchairs of 200kg onboard vehicles. It features double rear tie-down straps incorporating specifically designed mini lockable rail clips with a double plunger system. ‘Excel’ compact buckles are featured, which are designed to provide exceptional strength and flexibility for adjustment and tensioning. High strength karabiners are fitted as standard for maximum safety. According to the business’ Andy Nurrish, the system is ‘as close as you can get to a one size fits all’ wheelchair restraint. It received a ‘good response’ from visitors at the Show. 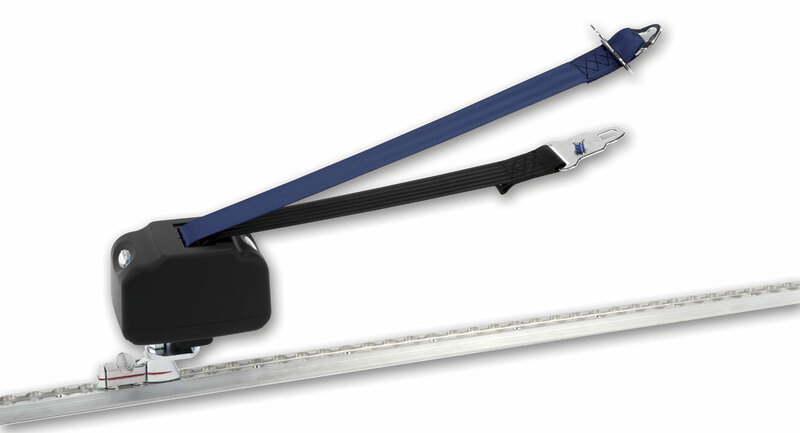 When it comes to designing new wheelchair restraint products, Andy said one of the biggest concerns is wheelchair manufacturers not communicating enough with wheelchair restraint system designers. The company is working on a new product as you read this, a new seat leg system. Testing for it has been completed, with the launch expected early next year. Also offering a new restraint product is Q’Straint with the DIR for the M1 and M2 minibus market. This double inertia occupant restraint system for wheelchairs has a durable metal cover on its seat belt housing reel providing extra protection. Its Dual Vehicle Sensitive Retractors are designed to lock when subjected to any hard or fast pull and are also vehicle sensitive, locking in response to uncertain situations such as being on a slope of 15 degrees or more. An Internal Floating Guide is fitted that helps keeps debris away from the retractor mechanisms and prevents twisting of the belts during transit. Its Positive Locking Indicator (PLI) serves as a quick visual confirmation that the fitting is locked into the vehicle anchorage and colour coded webbing helps visually verify whether their passengers are safely secured for transport. Earlier this summer Q’Straint also launched the QLK 110 docking station that allows wheelchair users to secure their own wheelchair using a single point system. Q’Straint has constantly striven to develop its products and service, with one of its latest developments being its iQ Research and test centre launched earlier this year. Looking ahead, the company sees the industry moving towards more automated systems in the future which offer more wheelchair passenger independence. It is for this reason it launched the Quantum wheelchair/mobility scooter restraint, which for the bus and coach sector is its main focus. Since launching the Quantum they have been installed in the USA and Canada and according to the company, the response from both customers and users has been ‘incredibly positive’. In the UK, in fleet trials will begin in January 2015. 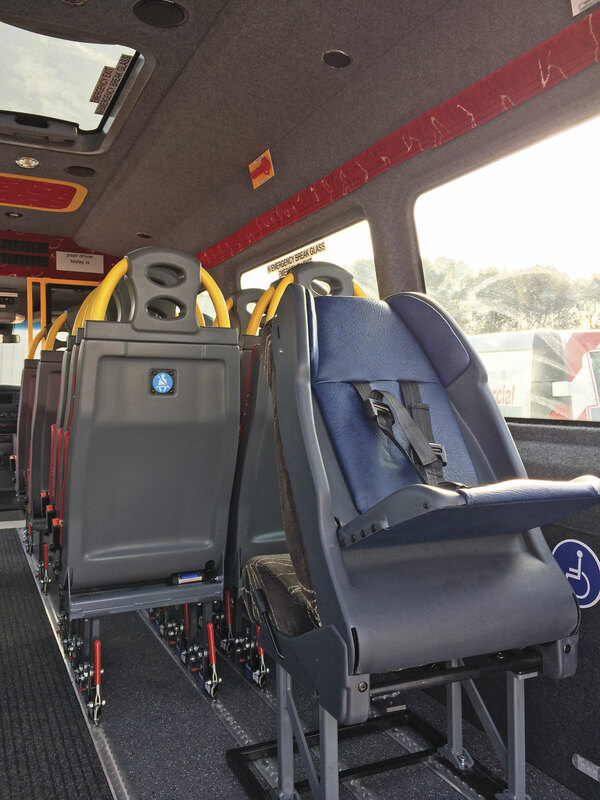 As well as wheelchair users, specialist equipment may be required for transporting passengers with special needs. 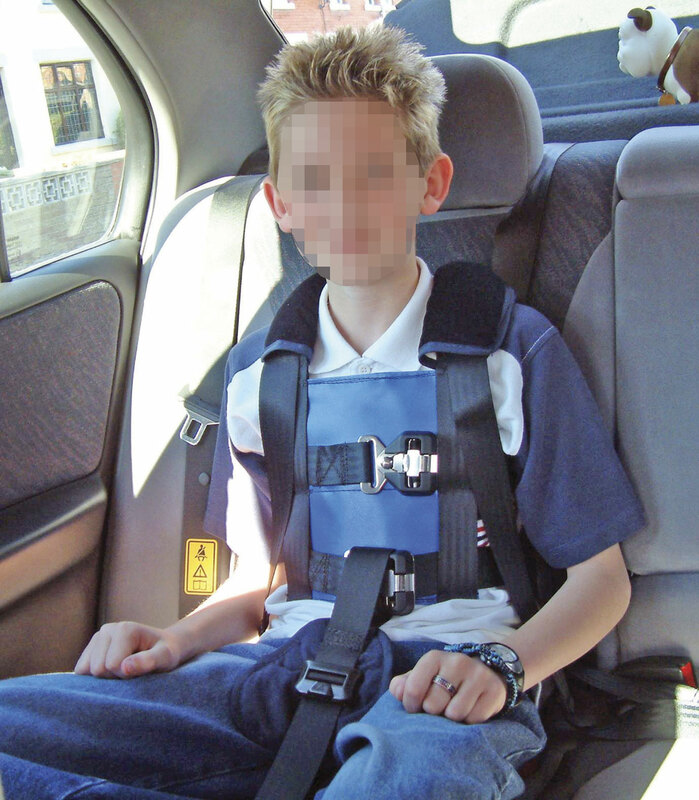 Crelling Harnesses provide a full range of seatbelts and harnesses for children and adults with special needs. Its products are designed to offer postural support or in the case of learning difficulties and challenging behaviour, a certain degree of restraint. The company offers its Model 31 harness, which is fitted with a steel safety buckle to the chest and waist straps as standard. It is designed to be used with most types of vehicle seating, including single and double seats. To install it, access is required between the seat back and seat cushion. The company stresses this equipment is not a safety harness and should be worn in conjunction with the vehicle safety belt. This sort of equipment may be fitted more commonly in accessible PSVs, as the company’s Jenny Fradgley said there is unfortunately an increase in autism and ADHD in children. She has noticed the company is selling a lot more of these products for severe challenging behaviour, with Model 31 having been developed to cope in even more demanding situations. New developments and advances are something NMI put a lot of investment and time into. Its latest development was displayed at Euro Bus Expo earlier this year, the Sit Safe, a toddler seating solution. The product is suitable for children weighing up to 18kg. Used as a normal passenger seat with three point belt, it is transformed into a child seat by a simple one lever operation. The back rest tips forward and a fold out on the back of the seat allows a child to sit facing the rear of the vehicle, a much safer option according to the company’s MD, Ilan Alfassa. Available for coaches or on the company’s Millenium leg fixings, the product is tested to Regulations R80 and R44. Ilan said there are two main issues that are to be addressed by future developments in accessibility equipment. Firstly, he expects vehicle design will become more flexible. He believes operators are looking to get more out of their vehicles, saying, ‘If they are going to spend money wisely, they are going to need it to do multiple things’. Weight is another issue, with many manufacturers aiming to create lighter solutions. One of the biggest developments in accessibility equipment of late is Unwin’s merger with Swedish accessible equipment specialist, Autoadapt. The company has added to its Innotrax flooring system, with a new double rail plank designed especially for the European market. Known as R3, the new product has been tested with all of Unwin’s standard ranges of wheelchair and occupant restraints, and seating fixtures. It was launched at the Autonomic trade show in Paris, where it received its first order, which was for 55 floors. The new R3 extrusion features a double rail pitched at 122mm centre and also includes a double depth profile to fit most seat designs. Not only has it added to the Innotrax portfolio this year but it has also increased the range of uses for this flooring system. In July it was approved by the VCA for use in Crew Cab Vehicles. Innotrax can be used for these purposes in the Peugeot Boxer, Citroen Relay, Fiat Ducato Type 250, Mercedes-Benz Sprinter (including theVCV3 and Flat Floor variants), Iveco Daily Flat Floor, Renault Master II, Nissan Interstar, Nissan Primastar, Vauxhall Movano, Vauxhall Vivaro and Volkswagen T5. One of Unwin’s regular customers is Tiverton, Devon based Courtside Conversions. The minibus and accessible vehicle converter often makes use of the company’s Innotrax flooring system for its vehicles. When it comes to fitting accessible equipment, customers can decide what is fitted. Given the choice between tail lifts and ramps, many go for lifts. However, this can depend on the vehicle being converted. One of its customers, a local authority, is an exception to this point as it tends to go for a ramp and winch system. The reason being is because its rule is that if a tail lift is used, two members of staff are required, one to operate the lift and another to receive the wheelchair onboard. Whilst with a ramp only one operative is required. Fold up seats are proving quite a popular product, according to Sales Manager, Barry Selway, as they save taking seats out and storing them to make room for wheelchairs. When it comes to a choosing between lifts and ramps, GM Coachwork has noticed lifts are the preferred option. However, the company can install ramps if the customer desires. The accessible minibus specialist has also found fold out steps are popular, folding into the floor and creating a low step for passengers to use at the kerbside. Also popular are lightweight removable seats, which make it easy to take out to make space for the wheelchair user. Removable seats were something Euromotive has seen a lot of demand for. Climate control systems have been more widely specified too, according to the company’s Paul Wrigley. He speculates the reason behind this could be related to the fact people are having them in their cars and are now coming to expect them in their minibuses. Power doors prove popular for the company too; the fitment of which, Paul says, is his business’s speciality. Fife based Gleneagles Conversions can build wheelchair accessible minibuses from most manufacturers’ platforms including Renault, Fiat, Ford and Citroen. Customers include independent operators, local councils, health boards, community transport associations, care homes and hospices. It can fit a vehicle with accessibility equipment, from floor tracking to removable seats and wheelchair lifts. Gowrings Mobility is planning to move even further into the minibus market next year. The company expects the accessible market will see vehicles become more comfortable, incorporating more features expected to be seen in the standard car. This includes Bluetooth, climate control and in general, better comfort.